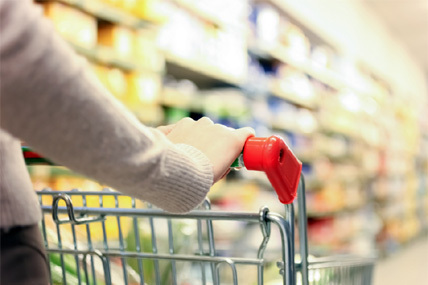 Kantar Worldpanel’s latest figures year to 21st April 2017 in China shows consumer spending on FMCG grew by 1.7% compared to the same period last year. West and North still saw a healthy growth at 3.3% and 3.1% respectively. Modern trade (including hypermarkets, supermarkets, and convenience stores) grew by 0.7% whilst eCommerce grew by 33.5% over the same time period. Walmart made significant efforts to transform its business, by closing inefficient stores, upgrading current stores, and opening new stores in the hinterland of China. On YTD basis Walmart achieved growth of 1.9%. Walmart was also active in building their online and offline coverage (OAO) by establishing its presence on JD.com. Consumers can now order from Diaojia on the JD platform and receive their deliveries within 1 hour. Ecommerce’s growth remained at a high level with online penetration reaching 33.1% in the latest 12weeks ending 21st April 2017. Tmall led the growth of ecommerce achieving a penetration of 7.4%, which is 2.3pt ahead of JD.